By train it takes on average around 2 hours 30 minutes to travel 95 km from Hanoi to Ninh Binh. We advise booking a 2nd class soft seat for this journey because none of the train services travel overnight on this route. The fastest train service from Hanoi to Ninh Binh is Train #SE19 which departs from Hanoi at 20:10 and is scheduled to arrive in Ninh Binh 2 hours 15 minutes later at 22:25. The slowest of the train services is Train #SE9 departing at 14:30 and arriving in Ninh Binh at 17:16, a journey time of 2 hours 46 minutes. 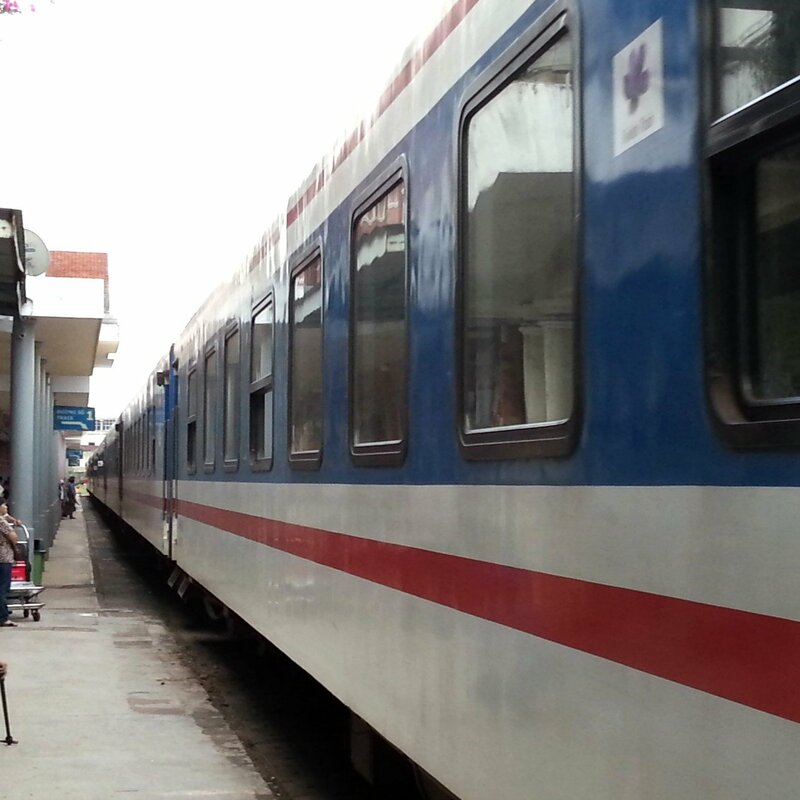 Use the Search Form to find your train tickets from Hanoi to Ninh Binh. See more information about Hanoi Railway Station. Ninh Binh is the capital city of Ninh Binh Province and whilst not a tourist destination in its own right it gets a fairly large number of visitors passing through the town on route to Ninh Binh Province’s most famous attractions. Ninh Binh Province has jagged hills rising from completely flat land, as well as caves and spectacular hill top temples. One area is particular, Tam Coc, is sometimes described as being ‘Ha Long Bay on land’ on account of the similarity in size and shape between the cluster of islands in Ha Long Bay and the hills rising from the rice fields at Tam Coc. 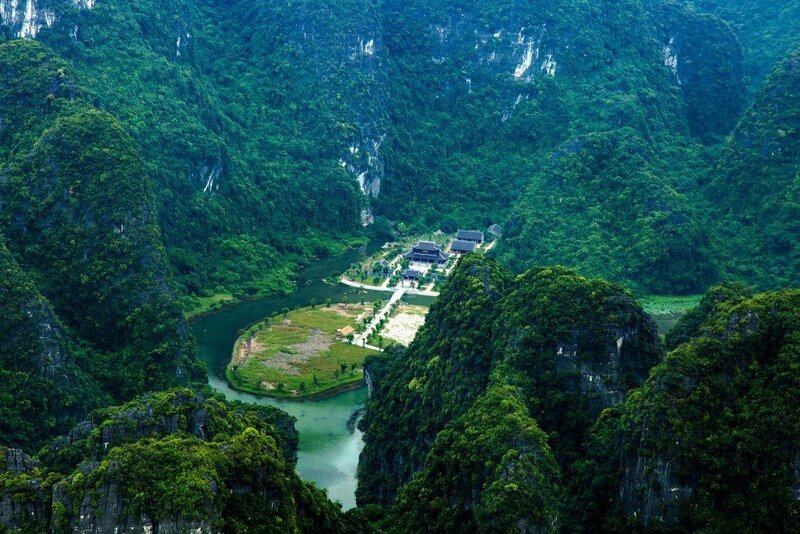 Tam Coc: Is a region with steep sided karst hills and a river running through upon which you take a boat ride past the hills and through some caves. Tam Coc also has a 15th Century cliff top temple with outstanding views across the area. Trang An: Is an area similar to Tam Coc, but with fewer visitors and more caves to pass through on a boat. Hang Mua Peak: Is one of the large hills in the area around Tam Coc. Its 450 steps up to the top of the hill from which you get 360 degree views of the surrounding countryside.